If anyone is interested, here is a list of Brony Groups around the country from Meetup.com. Meh, there isn't even one in the same country as I am. No surprises there. Already in the Albany group. Sadly none in the Detroit area. Which is strange because I saw a lot of bronies and pegasis at the con. You know, i think I will try to start one up here in central Ponsylvania. There are bronies here, I'm sure of it. I encountered two brony/brony supporters just last weekend, merely from wearing a brony shirt. Lord Fluffy, you wouldn't happen to be in Alberta, would you? Maybe we could start our own. Nearest one to me was out in Oregon City, but my trip over there fell apart, and the organizers seem to have not set up a new one yet. One about an hour from me, checking out to see if they meet closer to me at all. The closest one to me is Sun City which is about 75 miles away from me...I wouldn't consider that very close. Honestly, I'm kind of interested in starting a meetup, but I'm awkward and not very good in front of crowds, I have no idea what "jobs" being a meetup host/organizer entails, I can't drive, my work schedule is inconsistent, and I don't even really know what we would do at the meetup anyway. Would we watch episodes, randomly talk amongst each other (which I don't think I'm very good at because I'm shy and awkward)? I dunno. 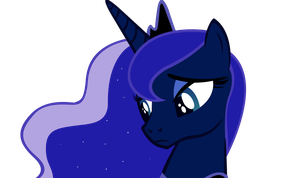 I wish that somepony would actually set up a meetup near me so that one or both of my brony friends and I could at least have a chance at participating in it. I only know and talk to 2 other bronies, one who lives somewhat near me (but unsure where specifically) and another who lives almost a half hour away from me. Closest one to me is in Stony Brook which is about 15 minutes away, pretty cool.